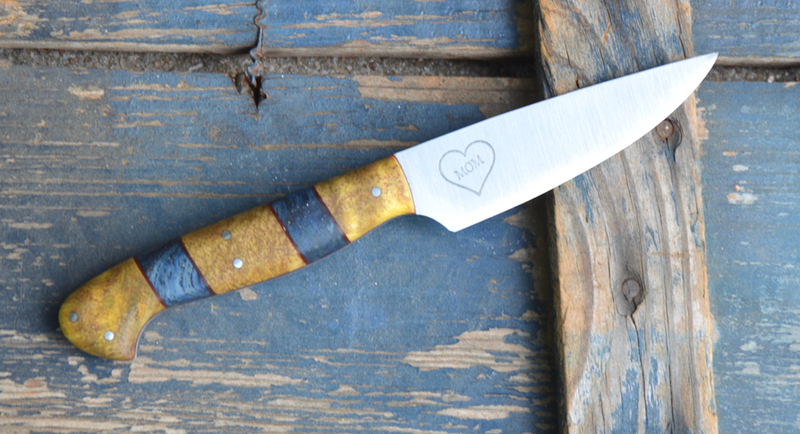 Home/Finished knives./Recreating a family heirloom. 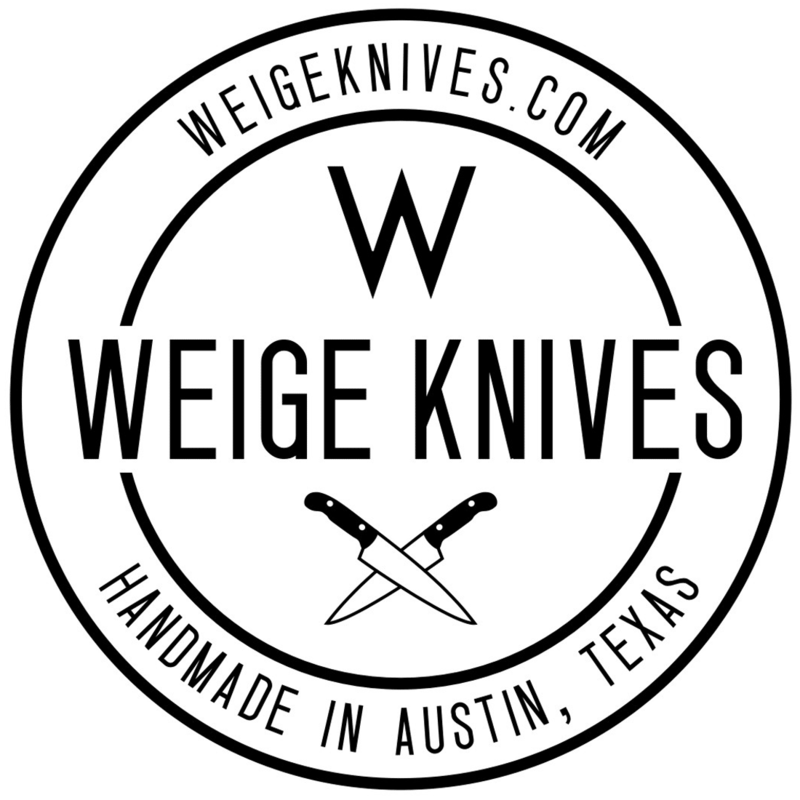 The knives we make are family heirloom type products. They can be passed down to the next generations as something to value and continue to use. Sometimes we get very cool requests like this last one. An older gentlemen inherited a knife that had been in his family for over 100 years and he described it as a french slicing knife. 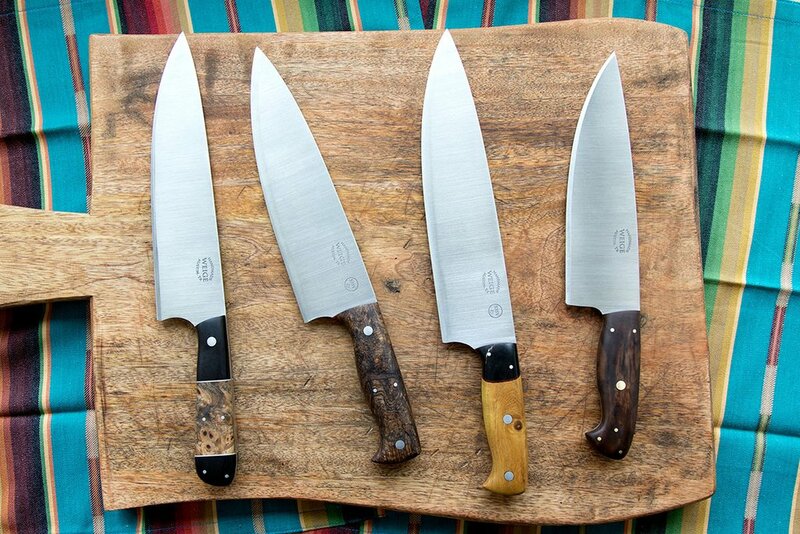 While in his possession the knife broke and he didn’t have the pieces any longer so I sat down and sketched a few knives until he said, “Yes, that’s it.” And then we built it. Below is the finished product. 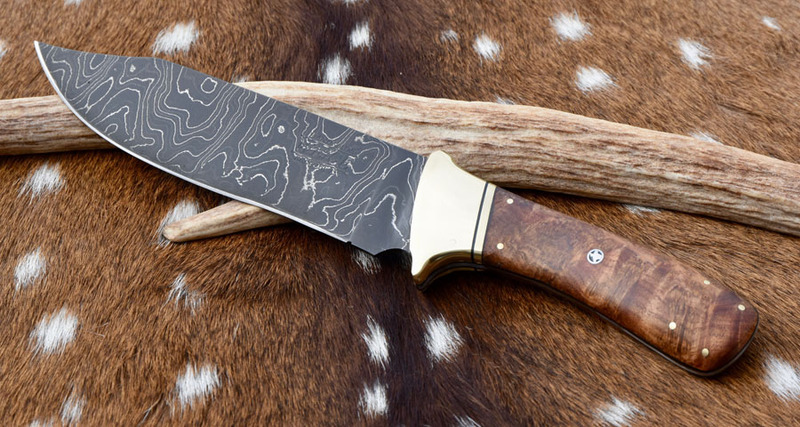 While it’s not the exact same knife, it’s a replica and he plans to pass this down to his son when he is done using it. We left the knife a little rough to give a bit of aged look to it. The family tradition of passing down this knife can now continue. 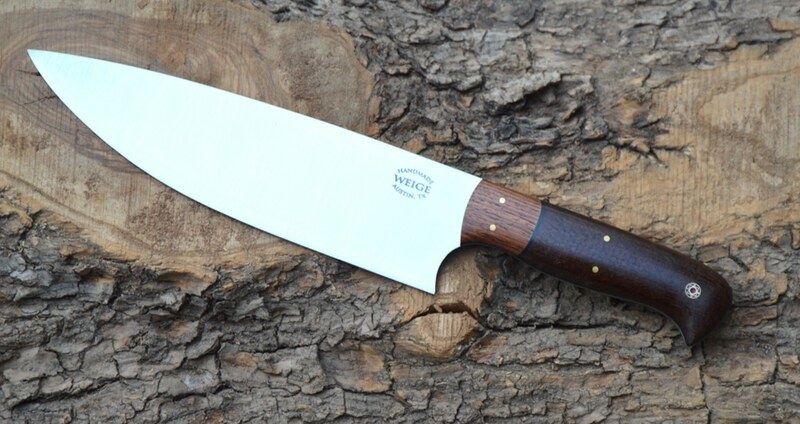 This knife is 11.5 inches long in 440c stainless steel with a rosewood handle and solid stainless pins.